On November 14, 2012, two Federal agencies, who have jurisdiction over the U.S. Foreign Corrupt Practices Act, jointly released a very useful and comprehensive Resource Guide to this very detailed, complex and often misunderstood law. The nearly 120-page document represents the joint efforts of the Criminal Division of the U.S. Department of Justice and the Enforcement Division of the U.S. Securities and Exchange Commission. A copy of the Resource Guide is available for download, free of charge, at www.justice.gov/criminal/fraud/fepa and www.sec.gov/spotlight/fepa.shtml. You may be asking yourself how a law entitled the Foreign Corrupt Practices Act could potentially apply to your business, even if you have no active or regular international business operations. The answer is that the law potentially reaches all issuers of securities in the United States, “domestic concerns,” and even foreign companies who have securities listed in a United States market. 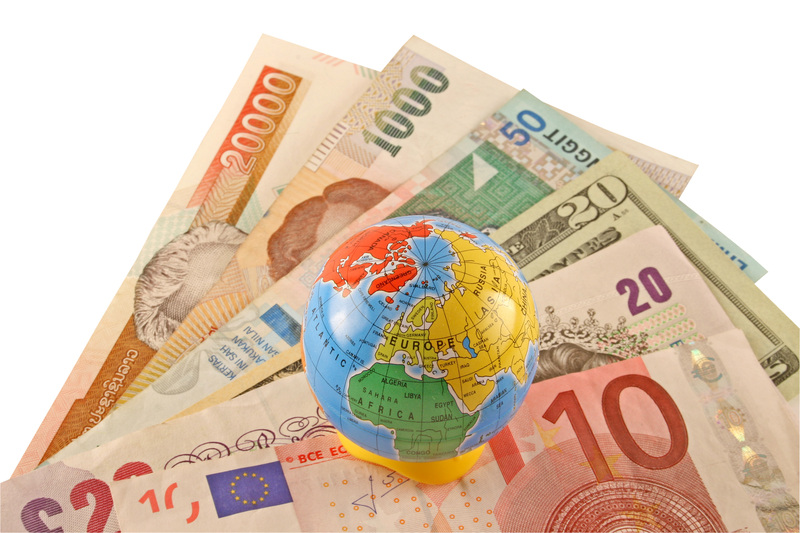 The FCPA prohibits payments that are intended to induce or influence a foreign official to use their position to assist in obtaining, retaining, or directing business. Very few of us have had contact with a foreign official as we would commonly understand. The term “foreign official” can encompass a broader range of individuals than you may expect, particularly in countries where many aspects of business are governmental or quasi-governmental. It is the broad manner in which each of the relevant terms and requirements are interpreted that makes the FCPA so dangerous. It is possible to step into a violation without even knowing it. For example, the government considers individuals who you may never expect to be “foreign officials.” For example, in certain countries, hospitals are publicly run, so your engagement with a hospital administrator, purchasing agent, or other hospital representative may actually be an engagement with a foreign official. This is only one of the many examples of how the FCPA may apply to your business even if you do not consider yourself to be an international company or having an engagement with foreign officials. We recommend that all of our clients consider the potential implications of the FCPA on their businesses. Ruder Ware continually assist clients with FCPA compliance issues. We have assembled a multidisciplinary team of attorneys, include one who is Certified in Corporate Compliance and Ethics and are available to assist you with FCPA or other regulatory compliance issues. Compliance risk assessment is continuing a trend toward priority for companies that have global operations. The trend toward systematic compliance programs spans across all industries. The priority, scope, frequency, and level of sophistication of compliance activities are growing in response to the expansion of governmental focus on bribery, fraud, and corruption. The United States has had laws on the books governing fraud, bribery, and other corrupt practices for many years but is now taking a much more aggressive approach toward enforcement. Other countries are also expanding their enforcement. 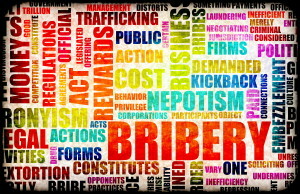 Many, including China, the United Kingdom, and Russia, have adopted new laws addressing bribery and corruption. The laws of each country must be considered when operating globally. All have somewhat different requirements, all which must be considered when structuring and operating global compliance programs. Period risk assessment of corruption and bribery law compliance has now become industry standard. Companies that have substantial operations must assess corruption and bribery risk on an ongoing basis. Assessments should be performed in a systematic way based upon prioritization of risks. The ongoing assessment of risk should also include the adoption of corrective action to address areas that are determined to present significant risk, where existing process or policies are not adequate, or where violations may have already occurred. Risk assessment also serves a didactic element. The process itself reinforces attention on the compliance process, the company’s commitment to compliance and the issues involved with the specific area of risk that is being assessed. 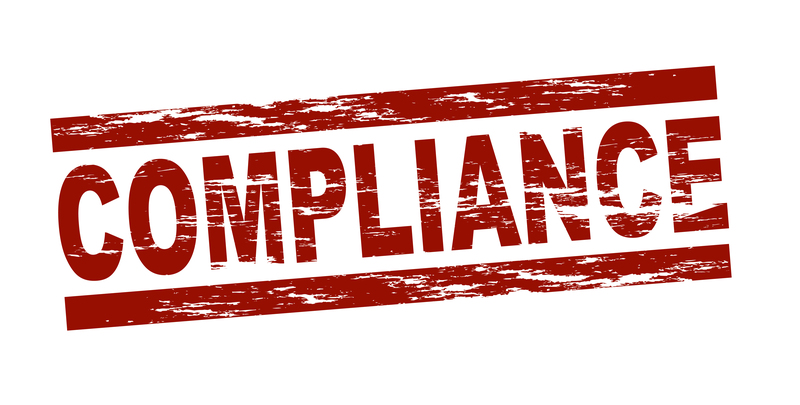 Compliance is best viewed as a process rather than a set of policies. The process is circular and never-ending. One state is built upon the previous. The end result resumes the process. Conceptually at least, the process begins with identification of risk. Various risk areas can then be assessed, scored, and prioritized based upon the affect on the organization. 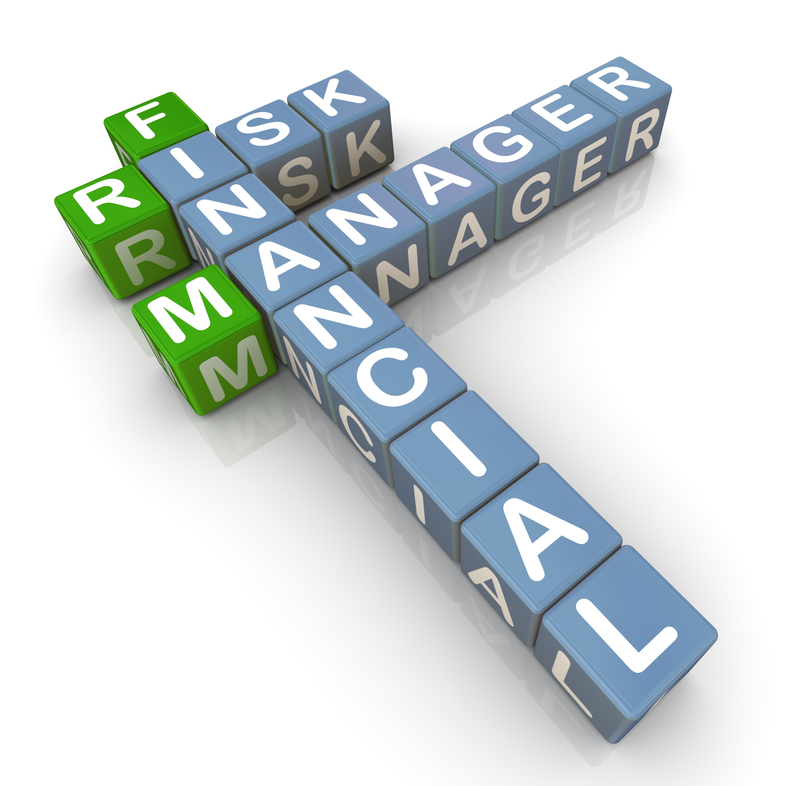 Prioritized risk can then be assessed through appropriate means which may include controls, monitoring or auditing. Depending on the risk involved, external auditing or further assessment may be appropriate. Deficiencies in controls can be identified and a “gap analysis” can be performed. This leads to an appropriate corrective action being taken to address any identified gaps. Corrective actions may include the adoption of policies and procedures, disciplinary actions, self reporting, subject area training, and other appropriate activities given all of the facts and circumstances. 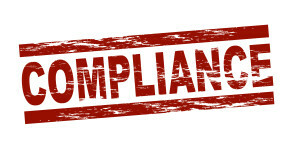 The compliance program establishes the process in which assessment takes place. The program establishes the ground rules for the assessment and remediation of risk. The program helps assure that the process sis uniform and systematic. 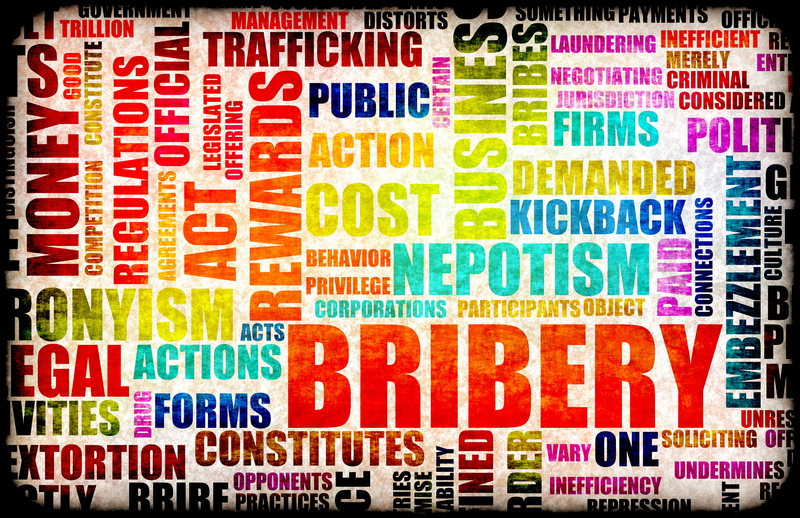 Some of the elements that should be included in assessing risks under the anti-bribery and corruption laws of various countries will be covered in subsequent posts. John Fisher is a certified in corporate compliance and ethics (CCEP) and is an attorney with the Ruder Ware law firm. Practical steps that the Board an take to fulfill its compliance oversight responsibilities are laid out in the attached and in my presentation material as well. this piece is focused on practical steps the board can take to foster a culture of integrity. The Board is ultimately responsible for assuring that compliance is taking place and a atmosphere and culture of compliance exists. Boards need to take these obligations seriously and proactively address compliance issues. Third party actions taken on your behalf are to a significant extent as much as your responsibility as actions taken by your employees. As such, it is necessary for all parties involved at every level of the transportation and relocation industry to establish effective processes to govern and direct appropriate activities that are conducted on their behalf. Expectation is that you know the identity of third parties, that you have a process in place to screen third parties, and that you retain control over the activities that they conduct on your behalf. Maintain a database of third parties who you do business with. The database should include information on the applicable contractor and the process that was followed to conduct due diligence. 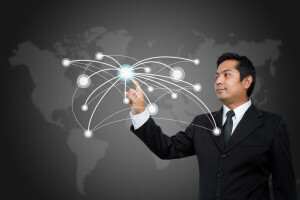 You should have a system in place to identify the third parties who present the most risk. Risk factors may include geographic high risk areas (Transparency International Competition index). Adopt a process for selection of third party contractors based on risk. Your system should categorize the level of risk that is presented by each subcontractor. Written contracts that set forth expectations and standards for third parties must be put in place. You should create a list of “red flags” that will alert you to existence of facts that suggest that there may be a higher degree of risk with a specific subcontractor. The as amended by the International Anti-bribery and Fair Competition Act of 1998 (collectively, “FCPA”) was enacted to prohibit bribes and other illegal payments to officials of a foreign government, public international organization or foreign political party by American companies and by foreign persons present in the United States to obtain or retain business or to secure any improper advantage. The FCPA is part of the Securities and Exchange Act of 1934 and contains provisions concerning record keeping and accounting as well as penalties for violations. The accounting provisions require companies to keep detailed books, records and accounts accurately reflecting corporate payments and transactions. They also require such companies to institute and maintain internal accounting control systems that would assure management’s control over the company’s assets. The prohibited payments (antibribery) provisions are designed to prohibit U.S. citizens and companies and foreign persons present in the United States from using the mails or any instrumentality of interstate commerce corruptly in furtherance of an offer, payment or promise to pay or give anything of value to officials of a foreign government, public international organization or foreign political party, or (with knowledge or belief that it will go to someone in any such class of recipients) to any person for purposes of influencing official acts (including failures to act) in order to assist in obtaining or retaining business or to secure any improper advantage. A significant part of our health law practice involves the creation, implementation, and review of compliance programs for health care providers and other businesses. Some of our compliance practice is devoted to institutional provides such as hospitals, health systems and nursing homes. We are increasingly advising our smaller health care clients, such as physician groups, home health agencies and other providers on establishing appropriate compliance programs. The entire industry is trending toward the adoption of compliance programs spurred on by a true desire to reduce risk as well as recent legal changes that mandate the adoption of compliance programs for most health care providers. The Compliance-Lawyers is made available by Ruder Ware for educational purposes and to provide a general understanding of some of the legal issues relating to compliance and compliance programs. This site does not provide specific legal advice and you should not use the information contained on this site to address your specific situation without consulting with legal counsel that is well versed in compliance law and regulation. By using the Compliance-Lawyers site you understand that there is no attorney client relationship between you and Ruder Ware or any individual attorney. Postings on this site do not represent the views of our clients. This site links to other information resources on the Internet; these sites are not endorsed or supported by Ruder Ware, and Ruder Ware does not vouch for the accuracy or reliability of any information provided therein. For further information regarding the articles on this blog, contact Ruder Ware through our primary website. © 2019 Ruder Ware, L.L.S.C. All rights reserved. Entries (RSS) and Comments (RSS).